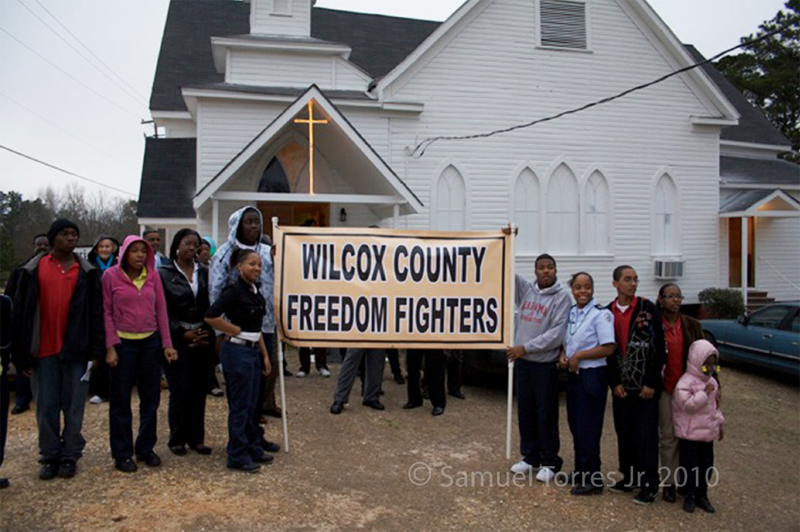 BAMA Kids Kick off the 45th Commemorative march, Camden, AL, March 1, 2010. 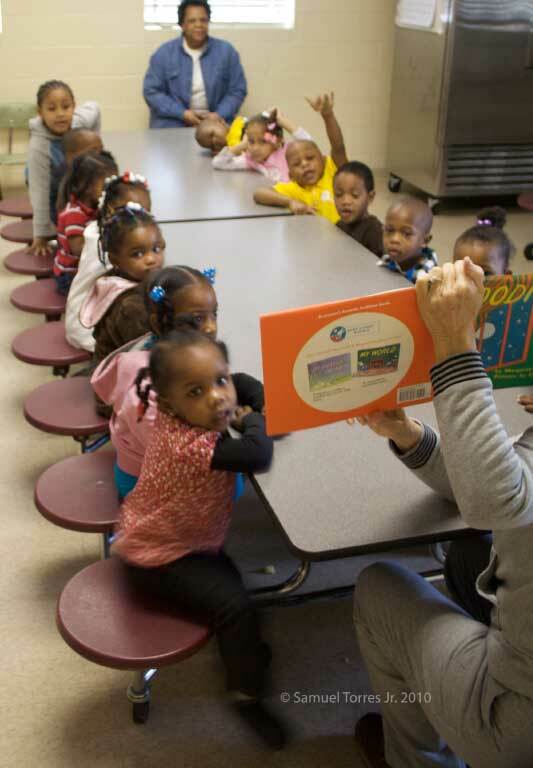 Reading to EM Parrish Day Care Center Children, Teacher Donna Gordon Findlay, Camden, AL March 3, 2010. 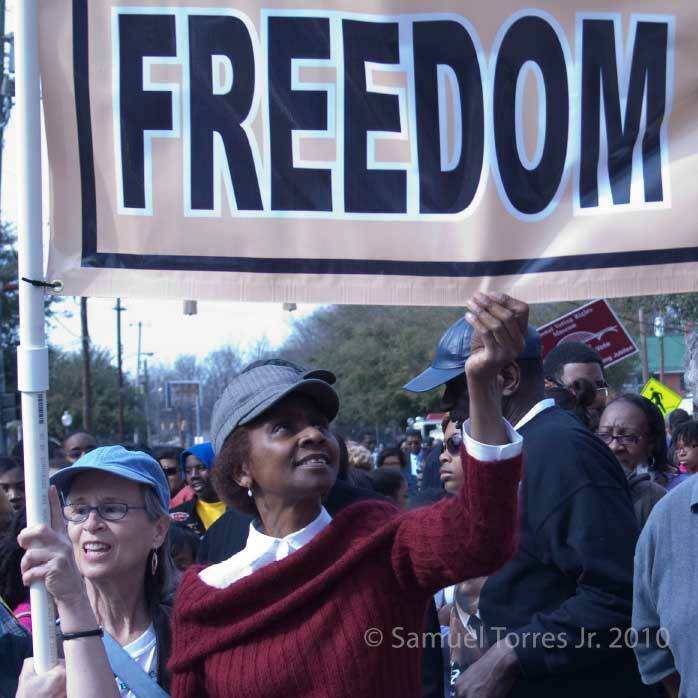 Freedom Banner: Maria Gitin & Betty Anderson, Selma Jubilee, March 7, 2010. 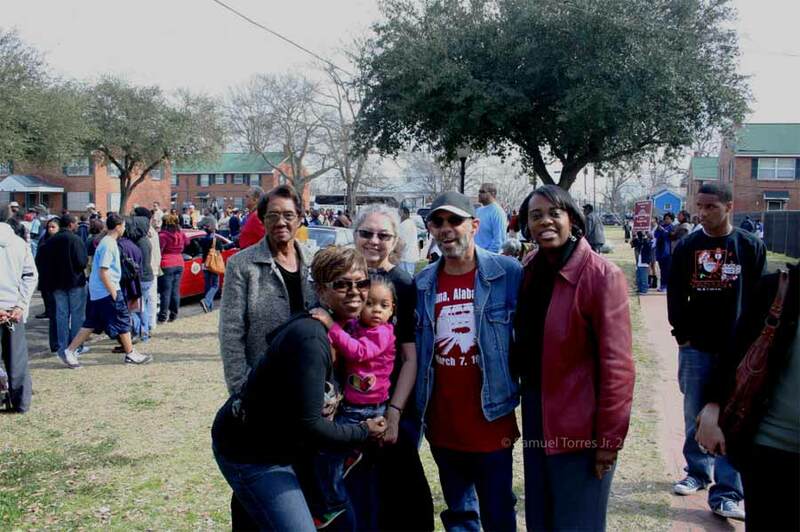 Luke (Bob) and Willow Block with Bob & Georgia Crawford's granddaughter Joy Crawford-Washington, daughter-in-law Jessie Crawford, granddaughter Jessietta Crawford Thomas and her daughter Braylee-Joi Thomas, Selma Jubilee, March 7, 2010. 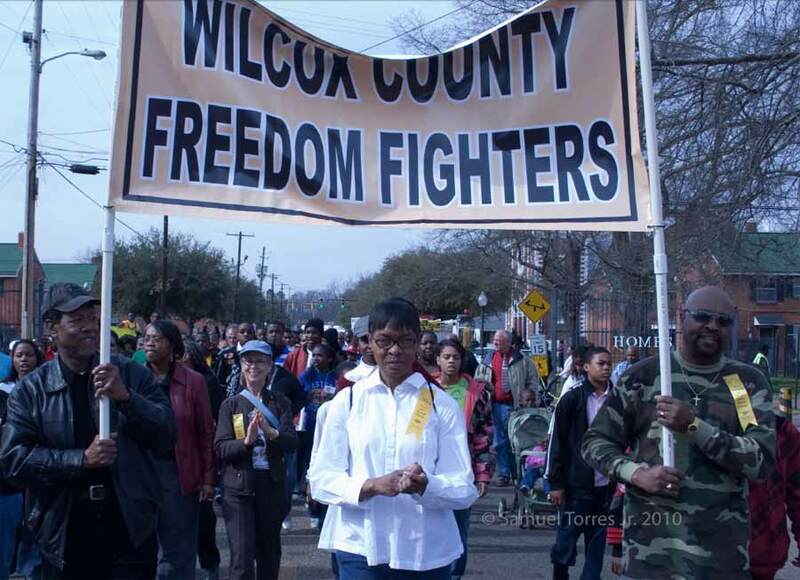 Carolyn Smith Taylor, daughter of Rev Frank & Mrs. Smith of Lower Peachtree marches in memory of her family's sacrifices for the right to vote, Selma Jubilee, March 7, 2010.